Recently on Twitter I discovered a lovely company called Pebblewise. They offer two subscription boxes: the Sunshine Box, which I will tell you about in my next post, and Wise Reads. I decided to try the August box of each of these and was massively impressed! Let me tell you about the wonderful box that is Wise Reads, a second-hand book subscription box. I love reading. I love curling up in my favourite chair with a cup of coffee and a good book. More often than not though, I get so engrossed in what I’m reading that my coffee sits forgotten on the side. I love how books can do that. You can lose yourself so completely in the story that you also lose all track of time in reality. 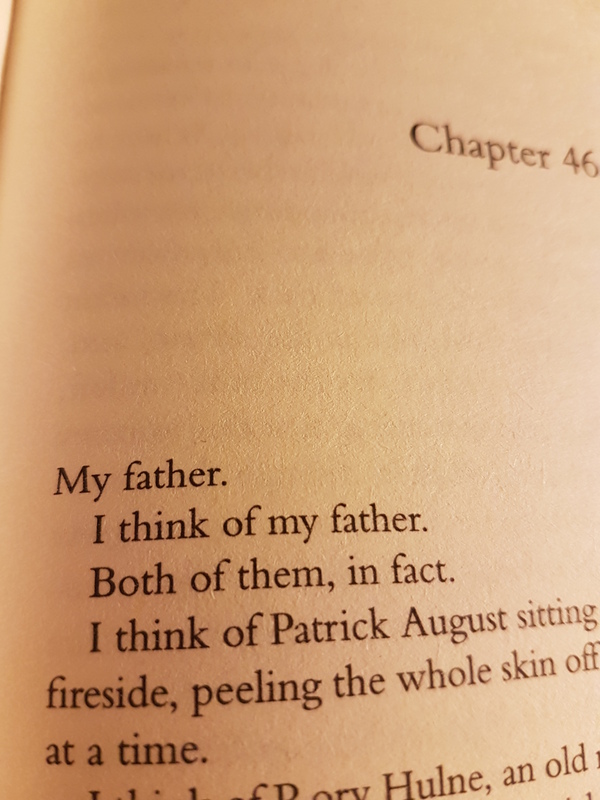 I get my love of reading from my father. He was a true bibliophile and he had literally thousands of books crammed into his house. They were everywhere! Each wall was lined with bookcases in every room except his bathroom, but that still wasn’t enough to contain the amount he had, which meant he then had piles of books everywhere too. And even though he had no room for any more, he couldn’t stop himself buying them! Before he lost the ability to walk easily, he used to love going to car boot sales and charity shops with the sole purpose of book hunting. He’d be like a child at Christmas telling me about all his latest finds. He used to tell me about the wonders of Hay-on-Wye, with its abundance of second-hand book shops. And there was a particular shop in Selly Oak in Birmingham that he used to go to time and time again. The owner, Stephen Wycherley, bought and sold rare and more unusual books, and he knew the types of books that Dad most loved, so kept them to one side for him ready for his next visit. I used to think that was such a thoughtful gesture. Every time I spoke to Dad about his new books or asked him what he was going to read next, he would always put on an excited voice and say “So many books, so little time.” Sadly, he had less time than any of us could have imagined, and so many of his books remained unread. He would have absolutely adored Wise Reads! The people who run this subscription box also run a second hand book shop in North Wales. This helps with the individual service they offer. 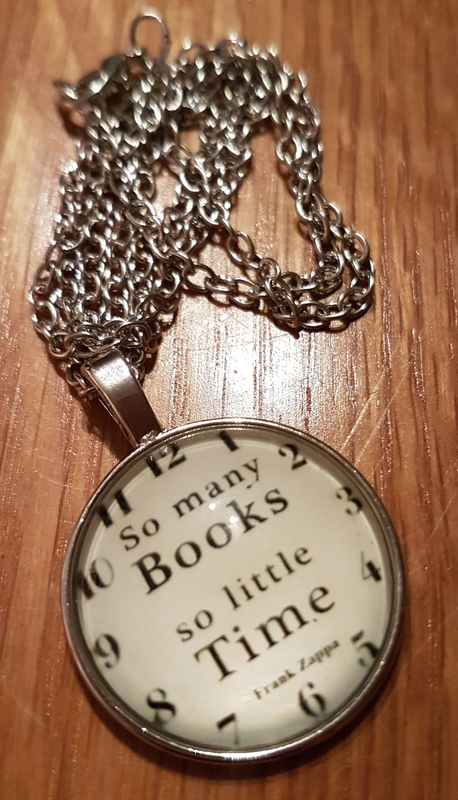 When you decide to sign up to Wise Reads (or order a one-off box) you are asked to fill in an online form in which you tick boxes to say what types of topics and genres you enjoy, such as crime, fantasy, satire, dystopia, coming of age, LGBT, quests, etc etc. There are so many options and you tick all that apply. You are also asked to list any favourite authors. This enables them to get more of an idea of what styles you like, but they also won’t send any books from those authors as they will assume you have most likely read them already. Finally there is a box in which you can type in any other information that might help them to find suitable books for you. I used this box to say what my very favourite types of books are, and if I’m honest, I thought my preferences would prove to be a bit too tricky for them to match. I love spiritual books, but not in a religious way. I am fascinated by past lives. I love thought provoking books with a message that stays with you long after you have finished the book. One of my all-time favourites is The Five People You Meet in Heaven by Mitch Albom. I struggle to find books that tick all the boxes for me, but I do find plenty that tick some. I thought Wise Reads would send me a book that ticks a few but not many. I greatly underestimated the care and attention that they take in finding books!!! I knew that books get posted out on the 10th of each month so I was very curious to see what they would have chosen for me. 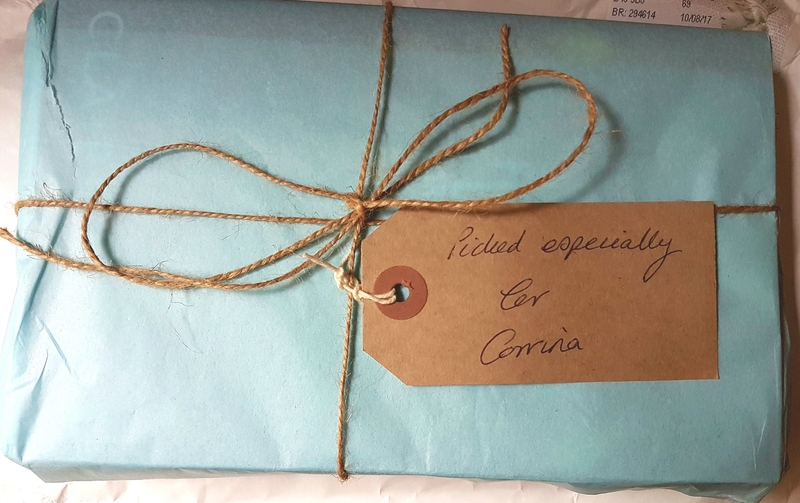 Each book is beautifully wrapped in tissue paper with a hand-written label attached to it. I loved this detail. I’ll tell you what the blurb on the back says….. Some stories cannot be told in just one lifetime. No matter what he does or the decisions he makes, every time Harry dies, he always returns to where he began, a child with all the knowledge of a life lived a dozen times before. Nothing ever changes – until now. As Harry nears the end of his eleventh life, a little girl appears at his bedside. “I nearly missed you, Doctor August,” she says. 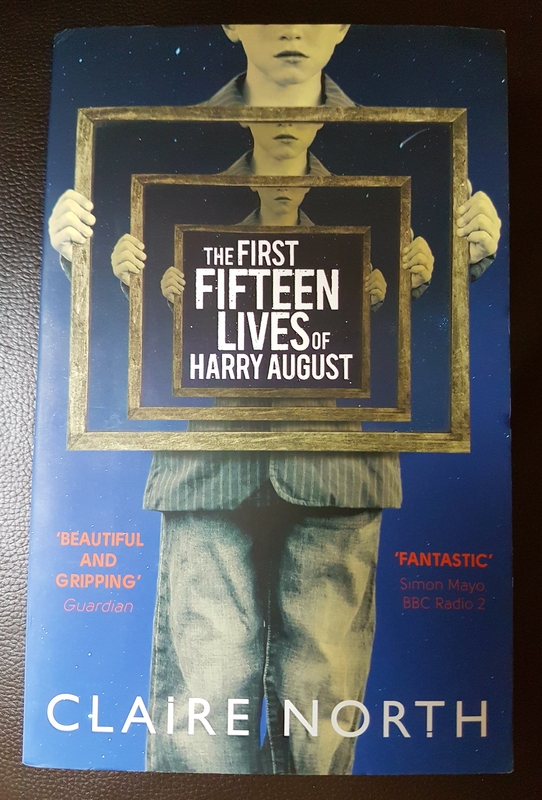 “I need to send a message.” This is the story of what Harry does next, and what he did before, and how he tries to save a past he cannot change and a future he cannot allow. I started reading it on the night it arrived and I am loving it! It is EXACTLY the type of book I’ve been looking for. I went on to Amazon to look it up and it gets fantastic reviews. I really am over the moon with this subscription. I had ordered a one-off box just to see what type of book I would receive. I am signing up to it as an ongoing subscription now as I am so impressed. I do. All the time. And I thank him for passing his love of books on to me so that I could discover the gem that is Wise Reads. Wise Reads is an absolute bargain. It costs just £5 a month including postage! And they like to send a little extra something with your book, as I discovered. You can also choose to receive 2 books at a time, and that is just £7 including postage. They send books in as good a condition as possible, but their main priority is finding the perfect book to suit you. If they find a perfect book based on your preferences but it is in less than good condition, they include an extra book at no extra cost! Bear in mind though, this is a second-hand book subscription so don’t expect brand new books. I personally don’t think you can beat a preloved book. I like to imagine someone else sitting curled up reading it before me. That person has similar interests and I like that thought. Wise Reads is sent out on the 10th of each month. You need to place your order before the 8th to receive that month’s book. If your order is placed on or after the 8th, your book will be posted on the 10th of the next month. Payment is via PayPal only. EDIT: Wise Reads costs £5 a month with free postage if you live in the UK. They also send this subscription box worldwide, which is fantastic. Obviously though international customers will need to pay a little bit towards postage. Pebblewise only charge £2.60 postage for 1 book or £5.40 for 2 for international orders. A truly fantastic bargain! What a heart warming and lovely post. This book box sounds really lovely. We don’t have anything like this in South Africa.